In the mid-1960s, Al Amatuzio began an intense period of research and development. He assembled the industry's most knowledgeable chemists and directed the formulation of the first synthetic motor oil in the world to meet American Petroleum Institute service requirements. The introduction of AMSOIL synthetic motor oil in 1972 set all-new standards for motor oil quality. 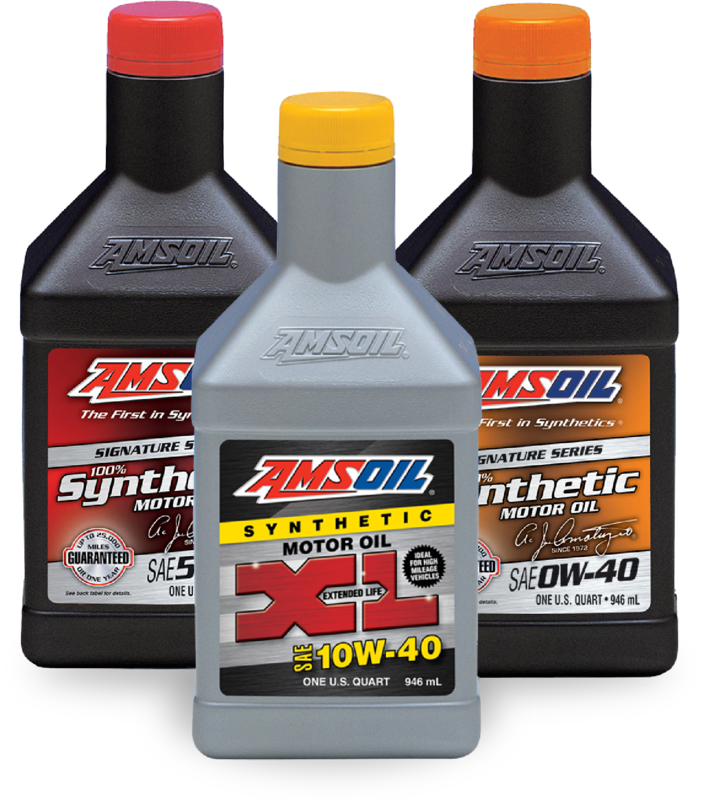 AMSOIL synthetic motor oil outperformed conventional petroleum motor oils on all counts. It was clear from the start that this innovative product would play a major role in engine performance and engine life. Check out the different motor oil selections you can order today. For more information about AMSOIL synthetic motor oil, please fill out the form below.